Devin Lyle has recently returned to the Salem area, but her timing couldn't be worse. Soon after she moved into the eighteenth-century cabin she inherited from her great-aunt Mina-her "crazy" great-aunt, who spoke to the dead-a woman was murdered nearby. Not as good as her other books, and the plot line(s) were a little too convoluted and verging on implausible. This story is great for those who know some history of the Salem witch trials, but also gives enough background for those who aren't famliar with them. Just the right amount of history with action! 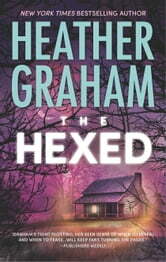 I do not think Heather has written a bad book. This book held me in suspense the entire way through. It had just enough of romance, thrills etc. to keep you on your toes.